I am so over this crazy hot weather! It’s October and topping 80 degrees, which just feels wrong. I’m ready for boots, sweaters, bonfires and all the delicious seasonal eats. I naturally find myself baking a lot more during the fall, but that hasn’t happened yet because of the nonstop heat. Bring on the crisp, cool fall days! I couldn’t totally resist turning on the oven the past couple of weeks because I started to see so many pumpkin and apple goodies popping up at stores and bakeries around town. It made me want to create some of my own! As a result, I’ve made far too many batches of cookies in pursuit of the perfect pumpkin chocolate chip version. I’ve always loved the combination of pumpkin and chocolate, but found one of the flavors always overshadowed the other in most recipes. 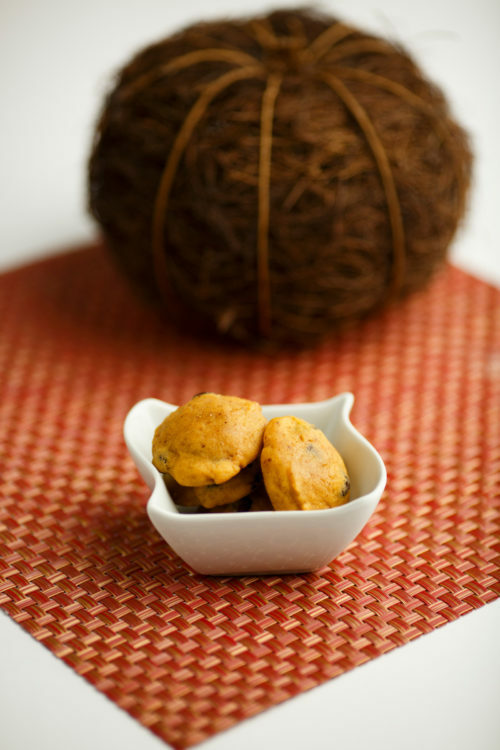 So, I started experimenting and used my beloved banana cookies as inspiration. I wanted the pumpkin cookies to have a similar, cake-like texture. The first cookies I made were a little too dense and you could barely taste the pumpkin. The second batch had a better texture, but still not enough pumpkin flavor. So, I kept messing with the spice variations and increasing the amount of pumpkin puree and finally found a cookie that was just what I wanted. It doesn’t taste like you’re eating a scented candle when you bite into these and the semisweet chocolate chips complement instead of overwhelm the pumpkin flavor. I gave a couple dozen to my husband so he could share them with his co-workers and they were gone within minutes, which is always a good sign. Preheat oven to 375 degrees and line a large cookie sheet with parchment paper. Set cookie sheet aside. In a large bowl, whisk together flour, baking powder, baking soda, salt, cinnamon, cloves and nutmeg until just combined. In the large bowl of an electric mixer, cream sugar and butter together on medium speed until light and fluffy, about three minutes. Add eggs, yogurt, vanilla and pumpkin to bowl and mix on medium until smooth. Turn mixer speed down to low and slowly add flour mixture to bowl, scraping down the sides as needed. Mix until just combined then slowly stir in chocolate chips. 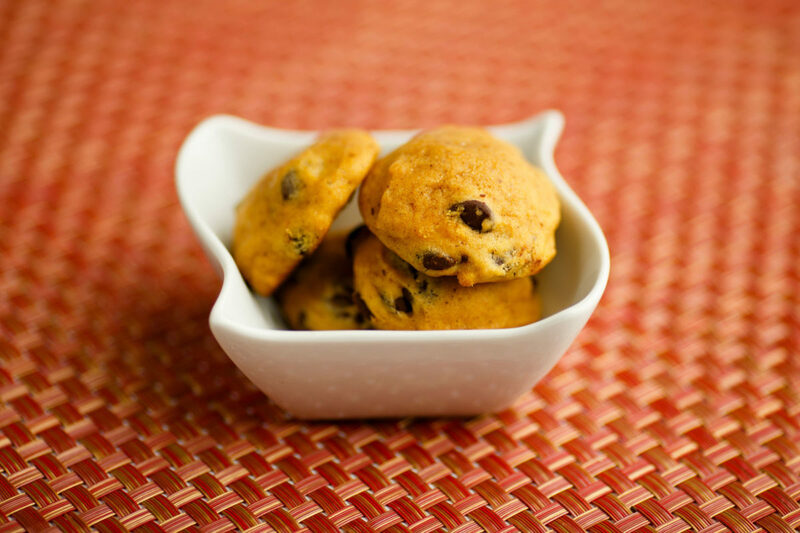 Use a cookie scoop or spoon to drop Tablespoons of cookie dough onto the parchment-paper covered cookie sheet, leaving 2 inches between each cookie. Place cookie sheet on the center oven rack and bake for 10 to 12 minutes, until cookies are set and just starting to turn golden on the bottoms. Use a spatula to carefully remove cookies from sheet and place on a cooling rack. Repeat process until cookie dough is gone. Allow cookies to cool to room temperature before storing in an airtight container.